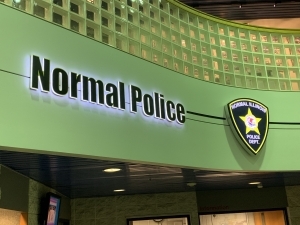 NORMAL – Normal Police responded to a call about an armed robbery late Sunday evening, where one man was allegedly robbed at gunpoint in the 1200 block of North School Street. Police say that three black men, one of whom was armed with a pistol, approached the victim and got away with an undisclosed amount of cash and personal items. They then got into a silver SUV and fled south on School Street. Normal police continue to investigate the incident, and the victim was unharmed.